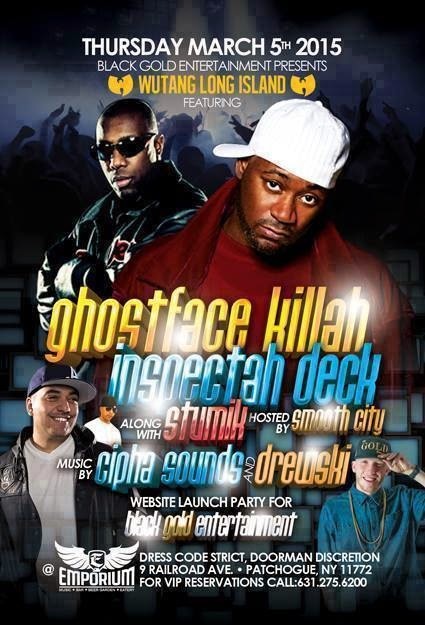 Making a rare New York appearance on Long Island tonight, Ghostface Killah and Inspectah Deck of Wu-tang Clan perform at Patchogue Emporium. Ghostface Killah just released "36 Seasons", his most diverse album to date. He has been performing with backing soul band- The Revelations. Black Gold Entertainment is throwing this party and it's going to be off the hook! where the hell is this venue! ?